Teleshop Kenya is a new entrant in the mobile payment segment that focuses on airtime and other mobile product purchases like bundles and SMS. It works much like Mula, another mobile payment service that caters for bill payments in addition to airtime purchases for all the major networks in Kenya. 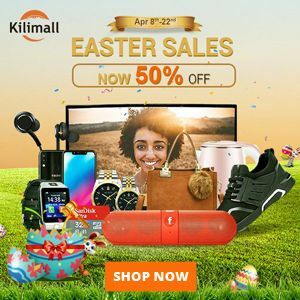 However, the similarities end there as Teleshop exclusively deals with discounted airtimes rather than just facilitating a means of topping up using M-PESA. This is great as you not only get to buy airtime at a discounted rate but also get to top up your Airtel and Telkom numbers using your M-PESA account. On top of this you don't incur any transactional charges that are normally charged when you buy airtime for other networks using paybill numbers. The availability of discounted items you can buy will vary depending on the network. 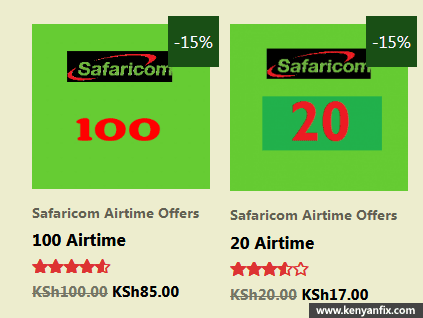 Currently Safaricom has more discounted items compared to the other networks. 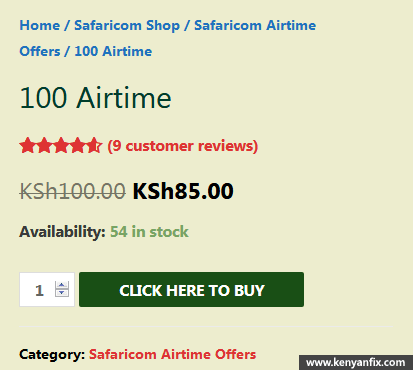 New customers get a Ksh5 Safaricom Airtime at Ksh1 (80% off) as a welcome gift and daily offer. This is a good way to test the service if you've doubts about using it. 1. Visit the Teleshop Kenya Site on your mobile or desktop browser. 2. In the homepage you'll find some discounted offers listed. If you need network specific offers, open the corresponding shop in the menu. On mobile you'll have to click the Menu button to reveal the options. 4. In the offer page, open the CLICK HERE TO BUY button to proceed. 5. After doing this, the item will automatically be added to your cart. At the bottom of this page, click the Proceed to checkout button. 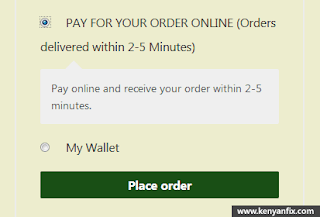 Choose the first option and click the Place Order button. 9. 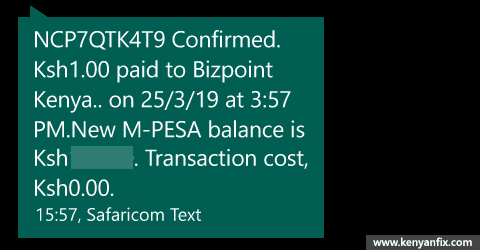 You'll then receive the normal M-PESA SMS confirming the amount has been paid to Bizpoint Kenya. You should shortly afterwards receive an SMS confirming the package you ordered. Give Teleshop between 2-5 minutes to process and fulfil your order. If the SMS takes longer than this, first confirm by checking your airtime or bundle balance. If still it hasn't arrived, you can get help by contacting Teleshop by calling 0702953838 or via their contact page. The details entered during the checkout (name & email) will be used to set up your account which you can access by going to the Client Area in the menu. The following is a list of Faiba4G ussd codes that you can use to access various services and manage your account. PayPal is one of the most common payment methods used online. For a long time now, most Kenyans working online have had to rely on Equity bank and some middlemen services to get access to their PayPal funds locally. However, thanks to the partnership between Safaricom and Transfer-To (now DT One/Thune), users can now conveniently withdraw money from their PayPal accounts straight into their M-PESA accounts. Through this service, the funds are automatically converted into the local currency (KES) and deposited into one's M-PESA account after two hours or a maximum of 3 days. With that said, only amounts in USD ($) can be withdrawn using the service however PayPal does provide means to convert funds in a different currency to USD. The service is also not free and includes a charge that we'll see later in the article. 1. First things first, you have to link your PayPal account with your M-PESA account. 2. After doing that, go to the PayPal M-PESA page and on your top right, click the Log In button to sign into your PayPal account. 3. After logging in, click the Withdraw from PayPal button. 4. Next you'll be shown the current available balance in your PayPal account. Below it enter the amount in USD (United States Dollars) to withdraw then click the Continue to Withdraw button. You can withdraw a maximum of Ksh70,000 per transaction. 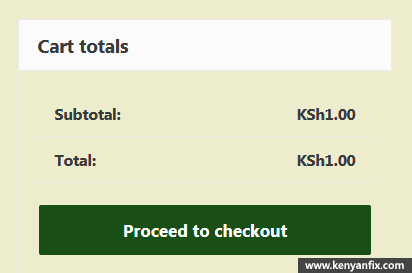 As such, convert your amount to KES using the current exchange rates to ensure you've not gone past this limit. Your M-PESA account can only hold a maximum of Ksh100,000. Plan your transactions accordingly to ensure you don't exceed this limit. 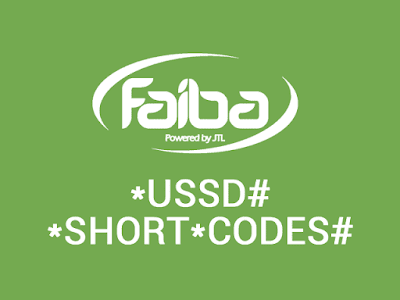 Only amounts in USD can be withdrawn using the service. 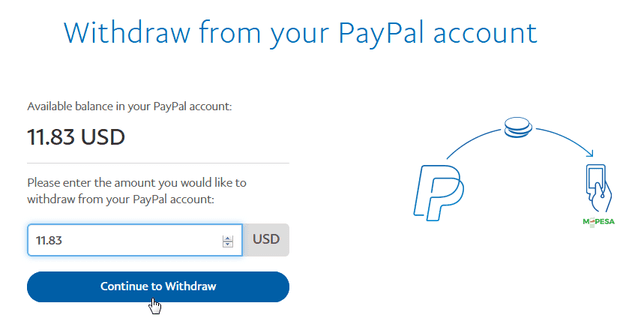 To withdraw amounts in a different currency, first convert the funds to USD by going to your Manage Currencies section inside your PayPal account. 5. In the next page you'll be prompted to confirm the withdrawal. 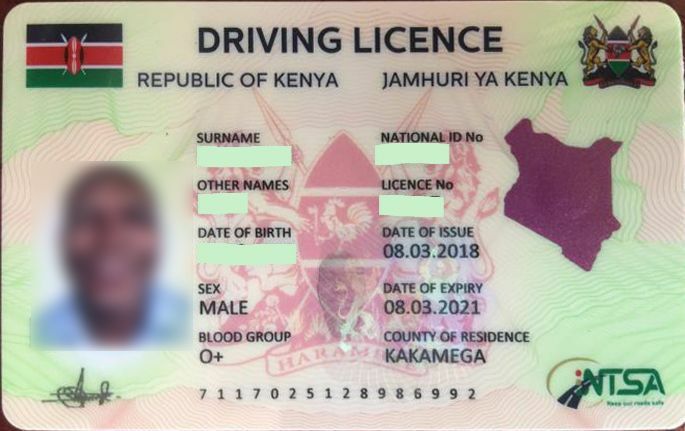 The amount to be withdrawn will have been converted to KES and the exchange rate used will be shown as well as tthe amount of time it will take to process the transaction e.g. 2 hours. 6. Finally you'll get a confirmation message that your withdrawal request has been successfully recorded and will be processed within a specified duration. You'll also receive an SMS from Safaricom confirming the processing of the transaction. 7. Now you only have to wait the specified time to get SMS's from Safaricom and M-PESA confirming the money has been received. 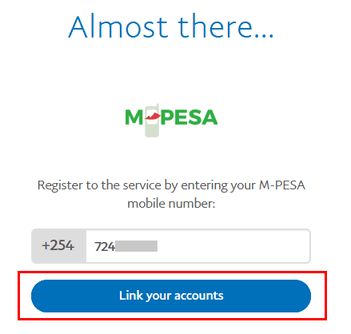 Meanwhile you can view the status of your transaction by clicking the Transaction History link that's on the PayPal M-PESA site's menu. If you don't receive your funds after the specified time, you can get help by contacting the Transfer-To customer service. In the message include your transaction ID (available in the Transaction History page) and your email address. TransferTo charges a 3% conversion fee for the amount withdrawn. This conversion fee is subtracted from the exchange rate used to convert the USD amount to KES and NOT the amount being withdrawn. The exchange rate shown when confirming the withdrawal has the conversion fee already subtracted. 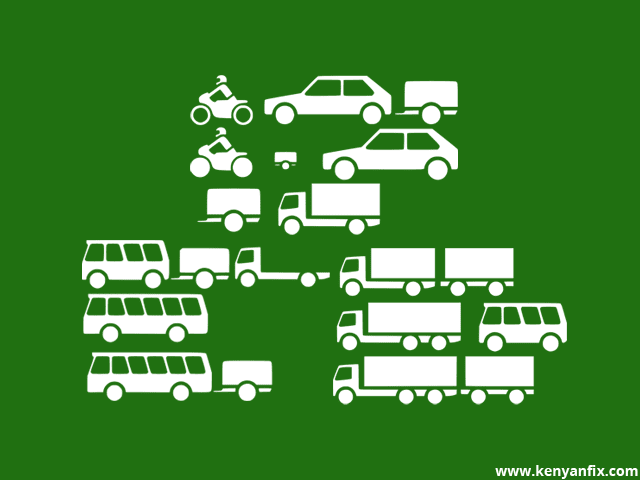 Let's take a look of sample transaction to help you understand better how this works. Based on this, it would seem that Equity's PayPal service fees are slightly lower compared to those of Transfer-To/Safaricom. 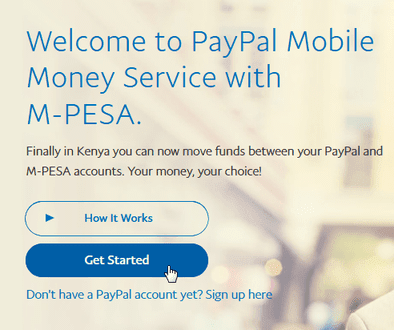 In 2018, Safaricom in partnership with PayPal and TransferTo (now DT One/Thune) launched service that links one's PayPal account with their M-PESA wallet. 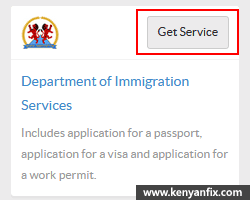 This service is therefore quite a lifesaver for the thousands of Kenyans that work online as freelancers or those that buy goods and services using PayPal. Previously, some had to resort to using middlemen for withdrawal as Equity bank was the only reputable institution providing PayPal services. 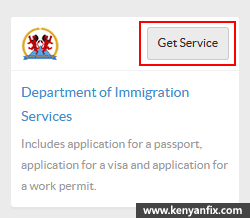 Before you can use this transfer service, you're required to link your PayPal account with your Safaricom M-PESA number. This is only takes a few minutes and thereafter you can begin using the service. 1. First Sign up for a PayPal account if you don't have one. 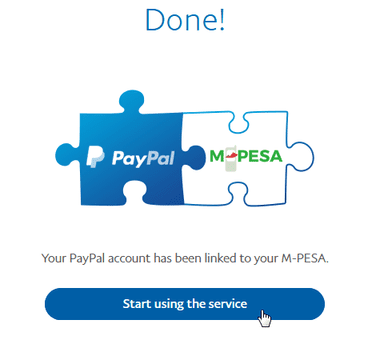 If you've one already, go to the PayPal M-PESA site and click on the Get Started button then log into your PayPal account. If you had already logged in using that computer, your account will be displayed for you to log in. If it's not your account or the one you intend to link, make sure to log it out first. 2. Next enter your Safaricom M-PESA number and click the Link your accounts button. The phone number may be auto-filled for you if you've it already saved inside your PayPal's account settings. 3. A confirmation code will be sent to your Safaricom number via SMS. Enter this 4-digit code in the next window and click the Confirm button. 4. 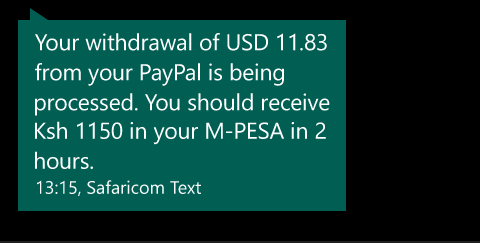 You'll now get a conformation message that your PayPal account has been linked to your M-PESA. 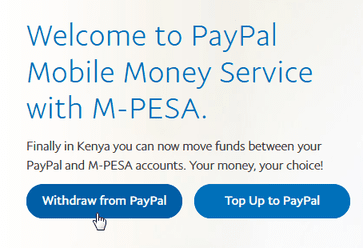 Click the Start using the service button to withdraw from PayPal to M-PESA or to top up your PayPal account using M-PESA. If you encounter problems linking your accounts, you can get help by contacting the TransferTo customer service. The bank has various banking services for individuals and businesses. These services are primarily offered through different types of banking accounts that are tailored for the needs of the customer. Current Accounts - an account which you can deposit and withdraw money to and from at any time and provides the holder with a chequebook to make payments without using cash. Each of these three main types are further customized into different types of accounts for individuals and businesses. Let's take a look at them. A current account for individuals with access to a chequebook and KCB Visa Debit Card. A personalized current account with a dedicated relationship manager and access to premium services at KCB Advantage Banking centres. An account targeting the employed and self-employed with low opening and operating balances, no restrictions on deposits and withdrawals and access to loans. An account targeting the youth with no monthly fees (charges transactions instead), a low operating balance and with access to limited cheque book. An account tailored for individuals with salaries with no restrictions on deposits and withdrawals and with access to salary advance facilities including personal loans. An account targeting university and college students with no restrictions on deposits and withdrawals or monthly charges. It allows deposting of HELB loans and provides a KCB Visa debit card. A savings account with an attractive interest rate (7% p.a. ), free standing order and a loan facility based on one’s savings. An interest earning account with a low operating balance and that is restricted to one withdrawal per month. A personalized savings account with competitive interest rates, a dedicated relationship manager and access to premium services at KCB Advantage Banking centres. A savings account for children below the age of 18 years. It includes a free life insurance cover and a free kit to save at home. A premium product with options for current and transactional accounts. It includes a dedicated relationship manager, exclusive KCB platinum centres and express counters. An account that allows for saving unlimited amounts over fixed periods with competitive interest rates (6% p.a). An account with discounted interest rates on mortgage. 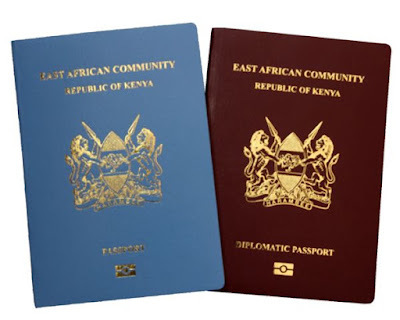 These accounts target Kenyans residing abroad. A transactional account available in the major foreign currencies (USD, Euro & GBP) with access to internet and mobile banking. An interest earning savings account targeting parents with children living abroad. 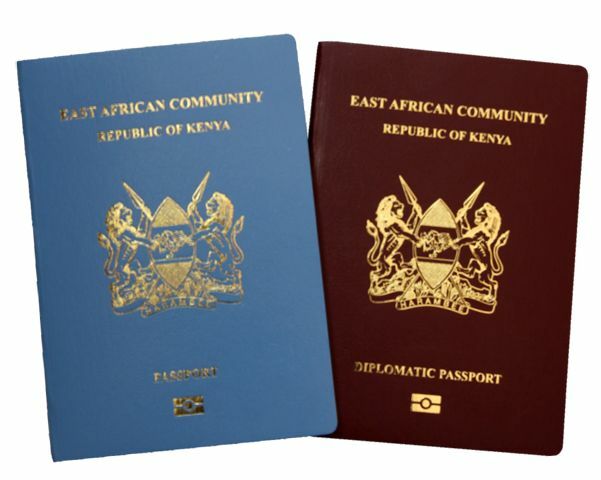 It's automatically upgraded to the diaspora transactional account when the child turns 18 years old. 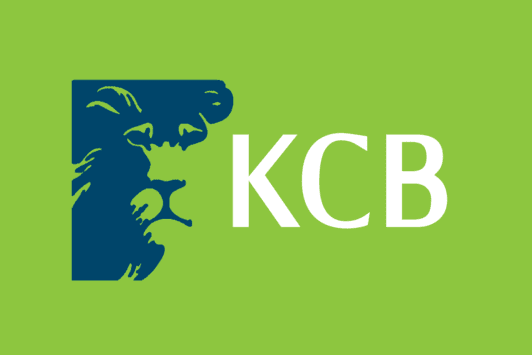 Part of KCB Mobile banking, this type of account can be opened conveniently using one’s mobile phone. Depositing and withdrawal is available through Safaricom M-PESA services and KCB Mtaani Agents. Has access to loans and supports transferring money to other bank accounts. 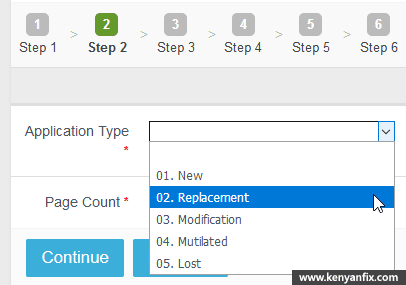 The account however has restrictions on some services which can be removed by doing an account update at a KCB branch. An account available on the M-PESA menu that gives Safaricom customers easy access to instant loans from KCB. The account however also includes saving options with interest rates (6.3% p.a.). This is a current account that targets investment groups (chamas). It provides access to a chequebook and has no monthly charges or restriction on withdrawals. In addition to mobile banking, it can be managed through the KCB Mobi Chama service. A transactional account targeting small scale businesses with non-registered businesses. It has low operating balance and provides access to business loans. This account targets the youth who have non-registered and sole proprietorship businesses. It has no monthly charges, minimum operating balance or restrictions on withdrawals and deposits. It also provides access to business loans. A savings account that targets investment groups that are registered or unregistered. A business account that targets registered businesses with high transaction volume. It has a flat fee for all monthly transactions costs and provides access to an unlimited cheque book. An account for registered schools to facilitate collection of fees. It has no charges. This is an affordable business account that charges per transaction and has no maintenance fees. An account targeting registered non-profit organisations, charities and religious bodies. It has no charges. 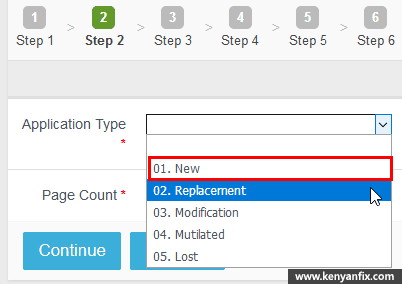 An account tailor made for farmers with no minimum operating balance and maintenance fees. It also waiver charges for account activation as these accounts become dormant periodically. An account for businesses with custom chequebooks and online statements. 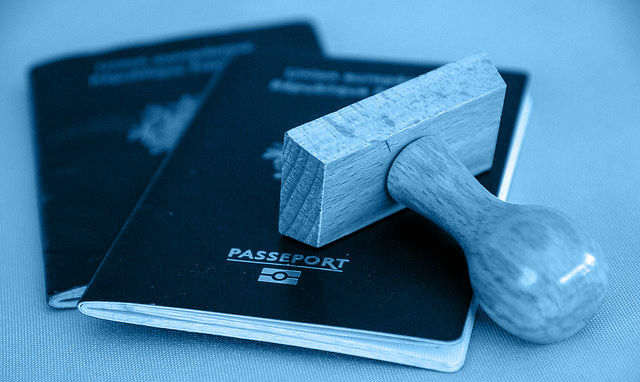 A transactional account for businesses with no minimum operating balance, standing orders, and a custom chequebook. An interest earning savings account for businesses. An account that allows for saving unlimited amounts over fixed periods (long or short term) with competitive interest rates (6% p.a). It offers flexible investment periods of between one month to a year. An interest earning account for saving investment funds but that allows for withdrawals alike a current account.